Modular handheld test solution for all-in-one Access/FTTx network and triple-play services installation and maintenance. 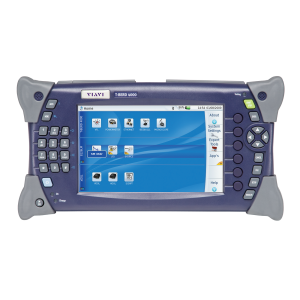 The MTS-4000 is a small, compact and handheld test platform designed for all phases of the network lifecycle, from the installation to the maintenance of Access/FTTx networks and triple-play services. Modular in design, the MTS-4000 offers field service technicians the highest performance and superior levels of scalability and upgradeability.